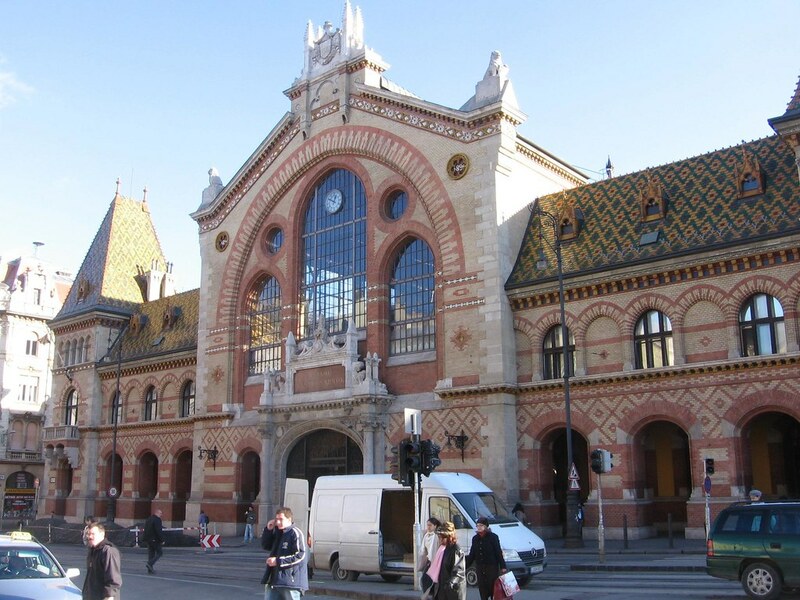 The Great Market Hall or Nagyvásárcsarnok is the largest and oldest indoor market in Budapest. Despite the dozens and dozens of tourists with their cameras out, this place is a favourite with locals and the best place to come to get fresh produce, Hungarian specialities, a quick meal or a sweet treat. The building was constructed in 1897 by Samu Pecz and funded by the then mayor of Budapest, Károly Kamermayer, who wanted to give his city a first-class marketplace like the ones he'd visited in Paris and London. One of the most distinguishing features of the exterior is its neoclassical facade and brightly coloured roof. The tile on the roof are Zsolnay tiles from Pécs, Budapest. These tiles were iconic due to their brilliant iridescence. You can still spot the marketplace's roof from across the Budapest skyline. The market is located next to the Danube river. When it first opened, ships were able to sail right into the harbour, next to the market, to unload their good. The building which once housed the customs office is now the home to Corvinus University. When entering the Great Market, take a moment to study the elaborate neo-gothic gates which adorn the entryway. Let your eyes turn upwards and to gaze at the different designs created with the various hues of red bricks. The large triptych window allows light to pour in through the front of the entrance and makes everything shine! The market is closed on Sunday, opens at 6am on other days, and closes at 5pm Monday, 6pm Tue-Fri and 3pm Saturday. As soon as you walk in you'll notice right away how enormous it is! There are over 10,000 square meters of space inside the building. Remember to bring cash (Hungarian forints) to pay for all your purchases since most sellers don't accept anything other than cash. If you have to use the washroom while in the market there is a bathroom on the top floor but it is a pay toilet so have some change ready. The hall is covered in steel and glass so farmers and artisans can sell their goods any day of the year without worry of weather. The intricate, wrought iron ribbing creates an artistic design against the bright orange rooftop. In the early days of the market, huge wagons carrying goods ran down the center aisle. To make room for these enormous carts the center aisle is much wider than the rest and makes for a comfortable pedestrian walking path. The entire structure was destroyed during WWII and restoration took a long time. Delays were inevitable, but the constant problems they ran into meant that the restored market wasn't finished until 1990. But, great works take a long time, and the results is a stunning and faithful reconstruction of the original building's architecture and ornamentation. There are three floors which make up the marketplace. The first floor is the most interesting and contains the bulk of the content brought in the market daily. 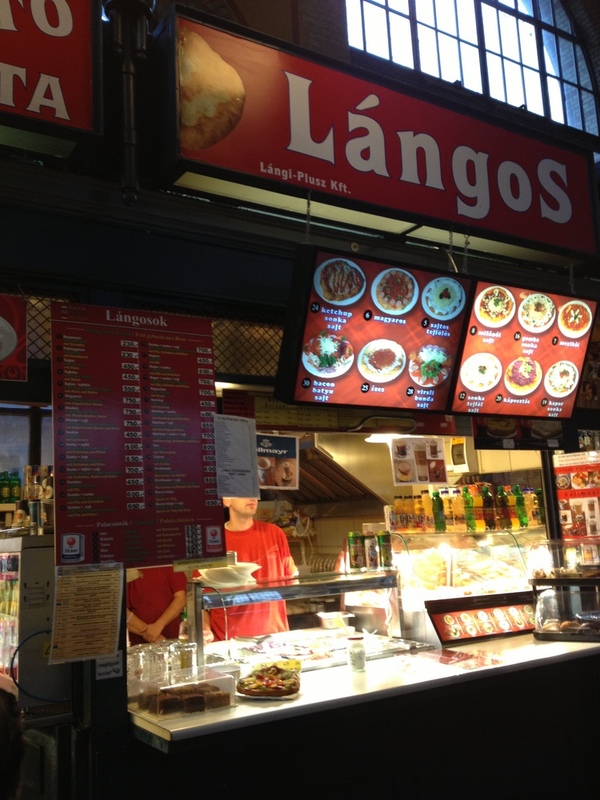 You'll see seasonal produce, fresh meat, pastries, olives, exotic spices, and most importantly - Hungarian specialties. Hungarian paprika is sold throughout the market. You can find it in the most lovely packages with intricate embroidery or inside retro looking tin cans. Paprika is considered to be the national spice of Hungary, so it's not just a souvenir but a mainstay of Hungarian cuisine. Hungarian paprika is made from peppers which are toasted and blended into a fine consistency. 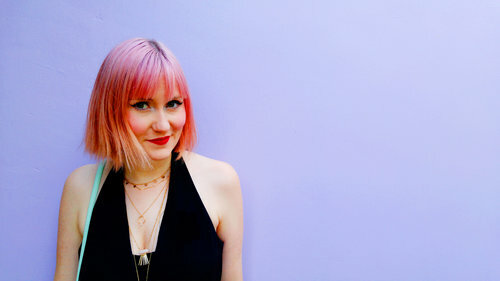 Some are hotter mixes than others, but most of them have a little bit of heat. Hungarian paprika is also slightly on the sweet side and very dark red. Looks for the words "edes" or "erdos". Edes means sweet and erdos means hot. You can also buy paprika as a paste in tubes. Another Hungarian staple which is found hanging throughout the market is Hungarian salamis and sausages. Hungarian salami is sought after all over the world. The cured meat contains spices like garlic, peppers, caraway seeds and, of course, paprika. These cured sausages are ideal for picnics, just remember to bring or buy a knife so you can slice it over cheese, crackers or bread. A sweet treat found throughout the market are Rétes. Rétes are a strudel-like pastry log, filled with fresh fruits such as apple, cherry, or poppy seed and topped with powdered sugar. We sampled the assorted berry variety, and it was delicious! If you're looking for something a little more savoury try the Sajtos Pogácsa or Cheese Scones. These some with cheese or with additional toppings like mushrooms and sausage for added flavour. Another item, favourited by the locals, are fresh and dried mushrooms found at the north end of the hall. These mushrooms are from all over the world and you can rarely find such a great selection. Upstairs, overlooking the market below, are various eateries and souvenir stalls. Many of the souvenirs here are Chinese made knock offs so be sure to check the labels before you buy but there are some gems in there. The embroidered items are the best thing to look for as many of these are handmade and a beautiful keepsake of Budapest. The food stalls on the second floor are unpretentious, cheap and tasty. Many of the stalls have been serving residents for years so if you want to eat like a local; this is the place to go! You can find black pudding, fried sausages, stuffed cabbage, lángos (deep fried dough with garlic, sour cream and cheese) as well as sweet pancakes. Give "Kolbice" a try - a whole wheat bread cone filled with mini sausages, cheddar cheese sauce and fresh sauerkraut. If you feel like a drink, hop into the borozós (cheap bars) where you can have a glass of inexpensive Hungarian wine, beer or the popular, Unicum (a Hungarian herbal liqueur). The basement is where you'll find the "stinkier" items. Fishmongers, butchers and barrels and barrels of pickles cover the entirety of the basement, and you can certainly smell it as you descend. 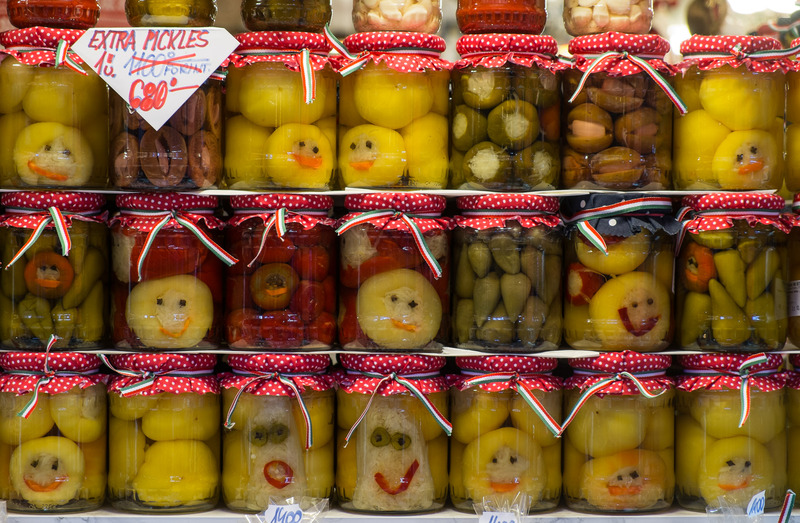 Hungarian pickles are incredible. There are so many different varieties, they don't seem to stop just at cucumbers and onions. They've even perfect a paprika stuffed pickled cabbage! If you're on a budget, the Great Market is the best place to get authentic Hungarian food, quick and cheap. It's also a reliable place to collect ingredients for the perfect picnic and head out to the Danube to watch boats cruise up and down the river as yoy enjoy your tasty treasures.